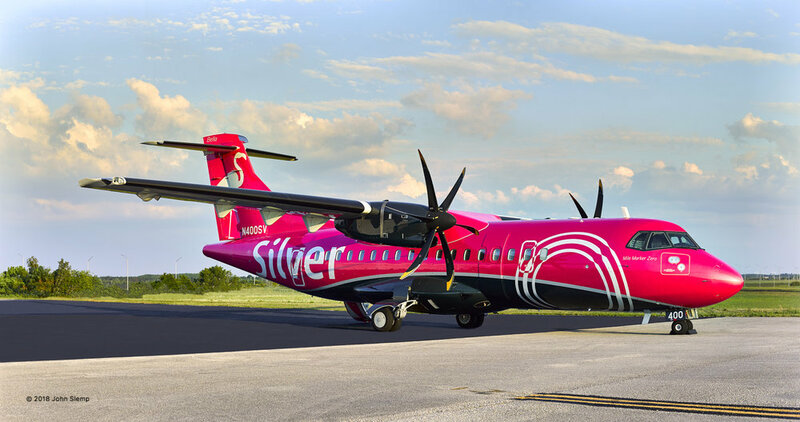 New livery of the Silver Airways ATR 42-500 on the ramp at Orlando International Airport. Yesterday I sat down and wrote a rather lengthy reply to several questions left as a comment on a recent article about my work, only to have the entire missive disappear upon hitting the “Post Comment” button. At the time, I was a bit ticked off that the time had been seemingly wasted. But I was determined to come back to it, and upon further reflection, I have continued to muse over how I might answer. So the time was, in fact, not wasted, as it generated several thoughts, some of which follow. Photography is a funny thing. Funny in that it seems so easy (just push the button already! ), and yet so difficult to create “art,” whatever that is. Just last night I was looking at an image on Facebook of a local photo group I “monitor,” out of curiosity if nothing else, and there were several glowing comments about a landscape photo that, to my eye, looked about two stops underexposed. I thought about posting a comment to that end, but decided against it, as I didn’t want to be the pro that rains on an amateur’s parade, nor did I want to be a photo snob…there are enough of those out there already. So I let it pass. Either the individuals in the group will learn…or not. I once attended a week-long photo workshop of a rather crusty photo guru in Vermont. To say that he was opinionated would be an understatement…but I learned. He told us about the many letters he often received asking for photo advice. At some point, rather than spend copious amounts of time answering each letter individually, he had a rubber stamp made. It said simply…”Try It!” He would then send the letter back to the questioner. Now I share this story not to rain on anyone's parade, or to belittle someone's curiosity. Rather, I would encourage everyone to “Try It!” I can reveal the answer’s, but many people probably won’t remember them, as most people (including me) learn best by “doing,” and by making mistakes along the way. I just read a wonderful blog post by a photographer heretofore unknown to me, Bridget Conn. To summarize (and photographers get this a lot), she was answering the hypothetical question about “How Big is Your Lens?” I would encourage you to Google it, as she beautifully explains that the question is about Context. One never asks a chef what kind of stove he/she uses…isn’t the end result the important thing? I’m happy to answer any questions…but you have to ask. I can be reached at (404) 245-2411.